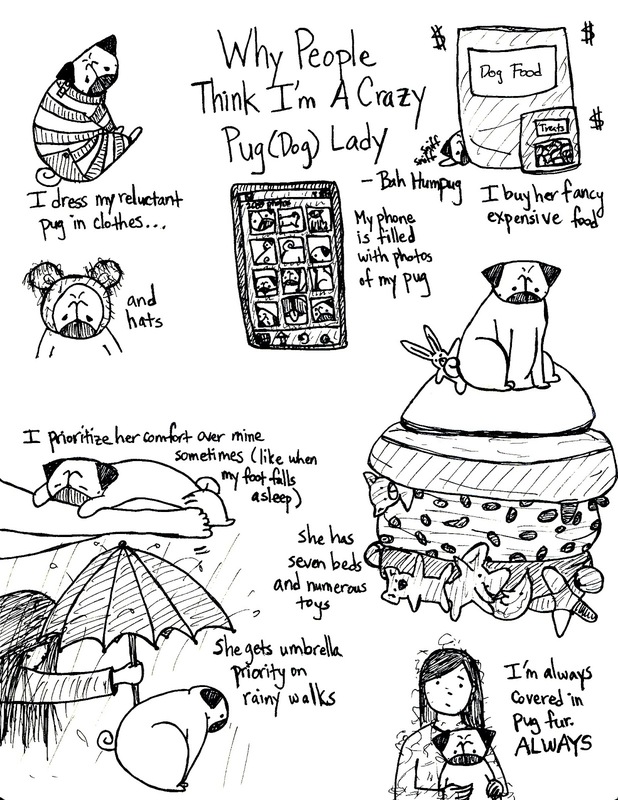 There are a ton of reasons for why people think I'm a crazy pug (dog) lady. In fact, I can probably stretch this out into at least a two-parter. But here are just a handful of reasons. It's ok, I've embraced the crazy pug (dog) lady in me. 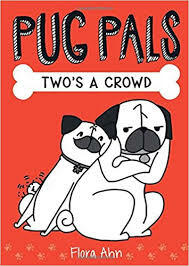 Ah, but your obsession is fully redeemed in my eyes because you can draw such lovely (and self-aware) pug comics! 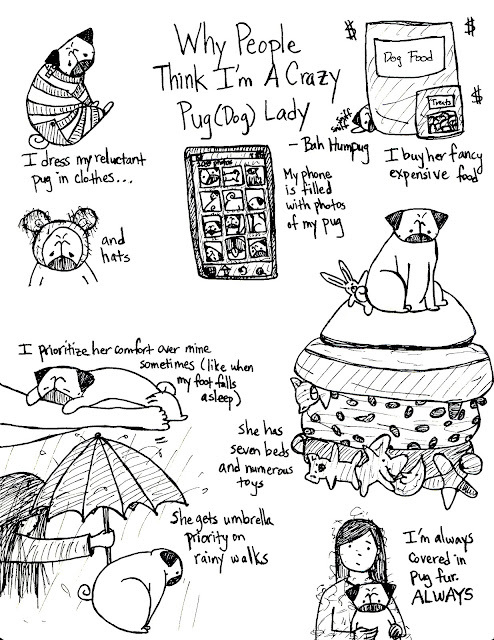 I love that you share your pug insight and drawings. As a fellow pug owner I can totally relate. I love your blog! LOL! But I'm so glad you are, so I can enjoy your drawings. And yes! I am covered with pug fur 24/7! It's the price we must pay for pug love. 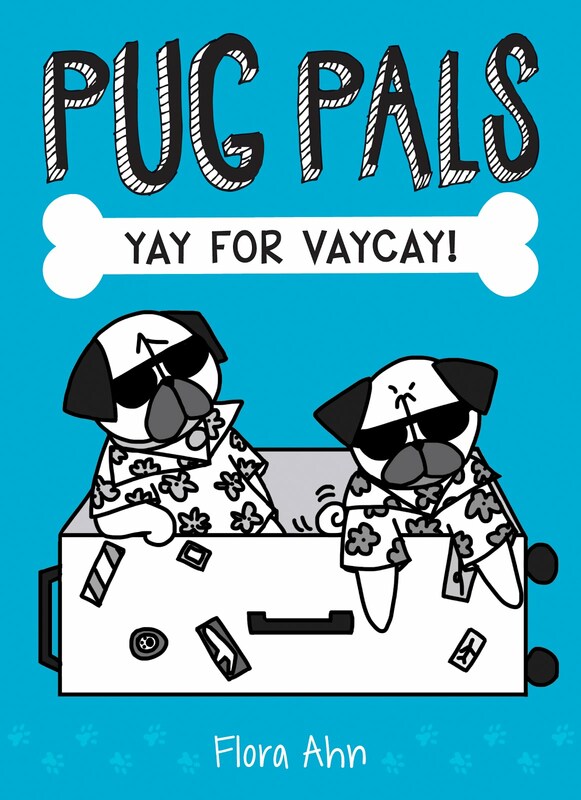 I am Vinny the Pug and I approve "BAH HUMPUG"! Well they own our hearts. We all become a little crazy when it comes to love. I've totally embraced my crazy pug lady status as well! There is no shame, especially since pugs are the best. I'm a crazy pug *and* cat lady, so no judgment here! I love your stuff. I do every one of these except the clothes! Love your stuff!